She's Fantastic: Monsters University SORORITY PACK Imaginext! Monsters University SORORITY PACK Imaginext! Imaginext girls are pretty rare. I can only think of six off the top of my head (plus the upcoming Poison Ivy). 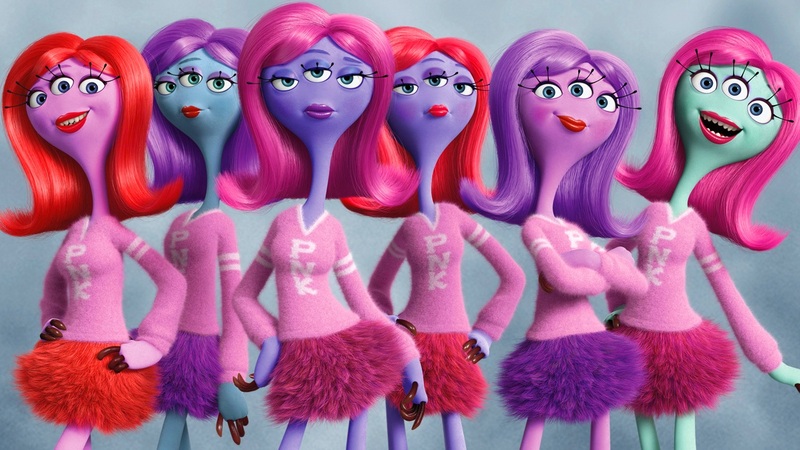 That's why I was surprised I allowed myself to overlook this 3-Pack of ladies released for the 2013 Disney/Pixar movie Monsters University. The pack is essentially comprised of extras from the movie. I don't think any of the characters have speaking lines (at least notable ones), but they are very recognizable monsters from the film. It took a bit of research to uncover their names, but luckily the internet is full of Disney wikis so all it took was a bit of patience to find them. While they don't exactly fit in with my superhero Imaginexts, they are still colorful quirky additions to my collection. Hopefully they will throw some interesting females into future blindbag waves that can serve as a link between these super-cartoony designs and the less-comical looking DC figures. I found this MU pack on clearance at my local grocery store and I'm ecstatic about the purchase. Let's check them out! Here's whole Python Nu Kappa crew. They're the bubbly ones. And here she is with the whole Slugma Slugma Kappa group. They're the loud sporty ones. 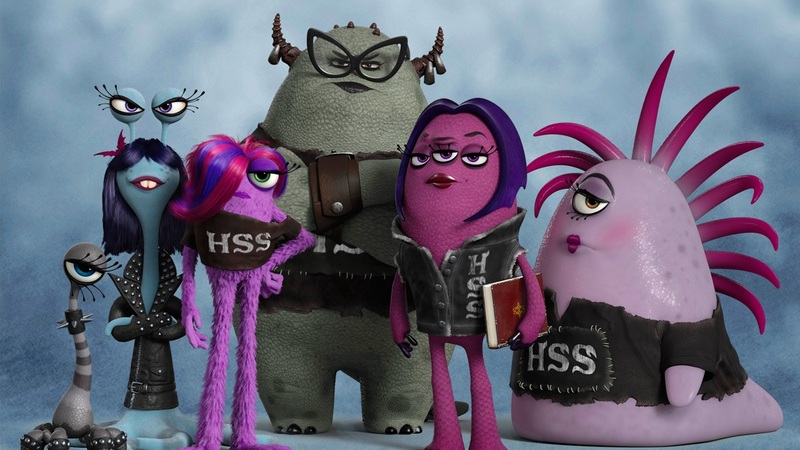 And here is the whole Eta Hiss Hiss gang. They are the goth rock-n-roll types.